Home About UKRO Medical Scientific Advisory Board Alicia McDonough, Ph.D.
Alicia McDonough is Professor of Cell and Neurobiology at the Keck School of Medicine of the University of Southern California in Los Angeles, California. She earned an A.B. in Physiology at UC Berkeley, the Ph.D. in Physiology at the University of Hawaii, and was a postdoctoral scholar at UC San Francisco Cardiovascular Research Institute, and Columbia University under the outstanding mentorship of P. S. Timiras, S. K. Hong, and I. S. Edelman, respectively. 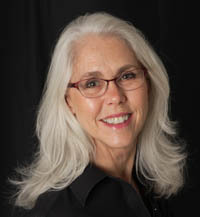 She joined the faculty of the University of Southern California School of Medicine in 1981 where she first studied the assembly of sodium pump subunits, and defined the molecular mechanisms of sodium pump isoform regulation in cardiac and skeletal muscle by potassium, hormones, and during heart failure. The McDonough lab then initiated studies to determine the renal mechanisms responsible for regulation of sodium, blood pressure, and potassium balance, and how homeostasis is disrupted in disease states and corrected therapeutically. By investigating ion transporters’ phosphorylation, abundance, subcellular distribution and activity, the lab has more recently defined how stimuli such as dietary sodium and potassium, AngII, injury, and cytokines increase renal sodium transport and how the resultant hypertension provokes intrarenal responses to decrease sodium reabsorption (via pressure natriuresis). These projects have engaged the McDonough lab with expert collaborators across the USA and around the world. Dr. McDonough is a recipient of an AHA Established Investigator Award (1984-89), the 2009 E. H. Starling Distinguished Lectureship from American Physiological Society, the 2014 Donald Seldin Lectureship from the AHA Council on the Kidney in Cardiovascular Disease, and teaching awards. She serves on editorial boards, numerous study sections, committees for the APS, AHA, and ASN and enjoys teaching medical and Ph.D. students.